Firstly, this project included the installation of a twin wall flue system all the way up through the house before and fitting the Riva Stove F66 by Stovax. 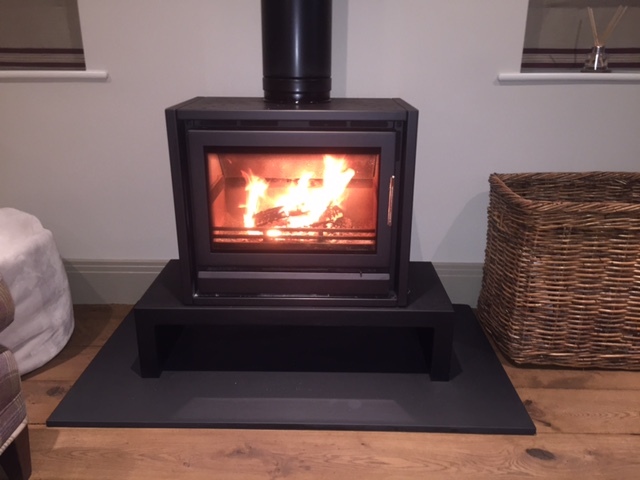 The Riva Stove is a great wood burning stove and known for its high efficiency. It offers a stylish modern alternative to the traditional wood burner.